Savvy Spending: Lowe's: Porter-Cable 10" Compound Miter saw with Laser for $99! 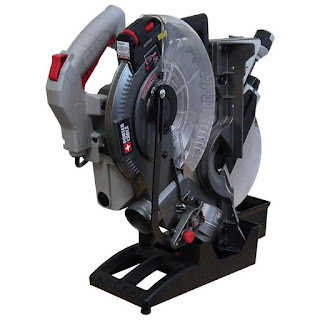 Lowe's: Porter-Cable 10" Compound Miter saw with Laser for $99! Lowe's has Porter-Cable 10" 15-Amp Single Bevel Folding Compound Miter Saw w/ Laser on sale for $99. Start at Top Cash Back for an extra 4% cash back as well! It gets great reviews too!